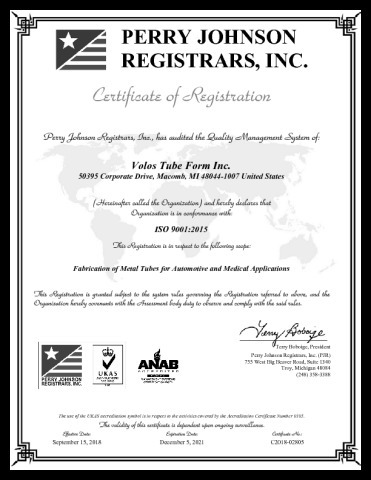 Our Commitment to Quality – Volos Tube Form Inc.
Volos Tube Form, Inc. is committed to continual improvement of our processes and products. We will strive to meet customer requirements and statutory and regulatory requirements, including those involving the environment. We pledge to be a good corporate citizen and to provide a productive and safe workplace for our employees.